This post is part of our series in which we are going to cover the coworking spaces in MENA. We’re starting things off with Riyadh, Saudi Arabia where the concept of coworking is still very new. Yes, there have been a space or two since last three years but they’re not as popular as they are in some other parts of the region. 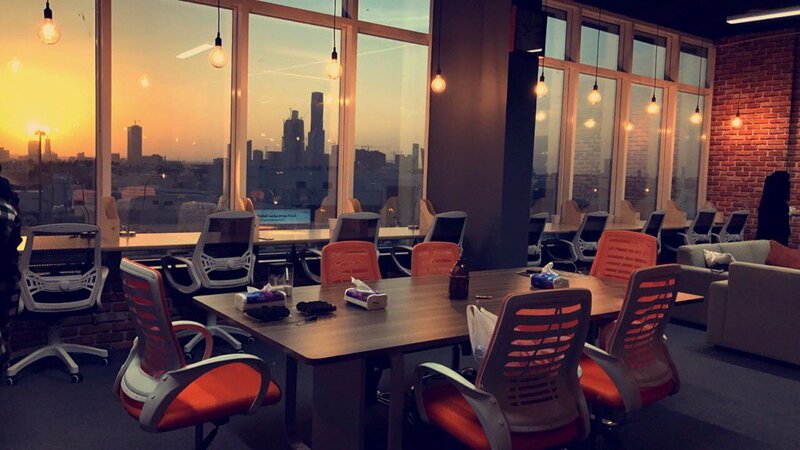 Currently, there are less than five operational spaces in Riyadh that welcome entrepreneurs, freelancers & startups. The options their offer in terms of pricing, amenities, desk types and access hours for all these coworking spaces in Riyadh are listed below. Co-founded by Salah Alhomaidhi, Mohammed Alhomaidhi and Huda Alosaimi, Upscale is our favorite coworking space in Riyadh and is definitely among the best ones in the whole region. The attention-to-detail these three young and enthusiastic founders have given to almost everything in the space is just amazing. Having started formally earlier this year, Upscale is located in North of Riyadh and has prices starting from 75 SR an hour to 1250 SR a month for different options. Yeah, its quite expensive in terms of hourly packages. Co-founded in 2013 by Moha Alsouli and Yasser Alsanie, The Work Hub is a coworking space located in North of Riyadh offering different options for both individuals and teams. The prices range from 55 SR a day and go upto 3500 SR/month. Its the oldest and most popular space among entrepreneur and freelancers of Riyadh. Allure Hub is another coworking space in Riyadh; co-founded by Ziyad Al Twaijri, Taraq Alaqeel & Faisal Almoka, in 2014. Located on King Fahd Road in Riyadh, they have hourly rates and monthly packages for options ranging from cubicles to meeting rooms. Our favorite package has to be Causal Access which costs 500 SR/month and you have access from 8 am to 11 pm that allows you to sit anywhere in the shared space to work, browse the internet or just read and you have free drinks.